The Oakland-based streaming radio service has backed off controversial legislation aimed at lowering the royalty rates it pays artists. Can the company find common ground with its critics? In June, the three surviving members of Pink Floyd published an op-ed in USA Today blasting Pandora, the popular music streaming service based in Oakland, for aggressively pursuing a bill in Congress that would slash the amount of royalties it pays to musicians. Pandora, they wrote, is "pushing the growth of its business directly at the expense of artists' paychecks." This criticism was a tipping point in a long battle over artist royalties, said Ted Kalo, executive director of the musicFIRST Coalition. "That thing caught fire like nothing ever has on royalty issues," Kalo said of Pink Floyd's criticism. "This was a massive artist backlash." So when Pandora recently decided to abandon its support of the highly controversial Internet Radio Fairness Act (IRFA), Kalo and other advocates viewed it as a victory for musicians. While Pandora and its opponents have routinely disagreed about even the most basic facts of the digital radio royalties debate, key players on both sides of the fight seem to agree on one thing: It's a critical moment for the company and Internet radio at large — and the stakes are high. After a wave of negative press, Pandora's reputation also arguably hangs in the balance. Those applauding Pandora's move away from IRFA are now hoping to find common ground with the company in the ongoing fight for what they consider to be fair royalties. But Pandora hasn't abandoned its quest — rather, it's planning to seek more favorable rates through non-legislative means. At the center of the issue are performance royalties versus songwriter royalties. When an artist's song is played on a terrestrial radio station, the writer or composer of that song (not necessarily the performer) is typically compensated through performance-rights organizations such as BMI, ASCAP, and SESAC. The same is true if the song is played on satellite radio or Internet radio. However, terrestrial radio — that is, AM and FM — stations are exempt from paying performance royalties (i.e., royalties to the performer of the song), whereas satellite and Internet radio stations are not. And Internet radio stations pay higher rates than satellite and cable stations. The United States is one of the few industrialized countries that does not require terrestrial radio stations to pay performance royalties. These rates are set every five years by a three-judge panel known as the Copyright Royalty Board. For Internet radio, rates are based on what a "willing buyer" and a "willing seller" would pay in an open market. The terrestrial radio industry has received an exemption from paying this royalty because it has argued that its stations are already benefitting artists by giving them free promotion. 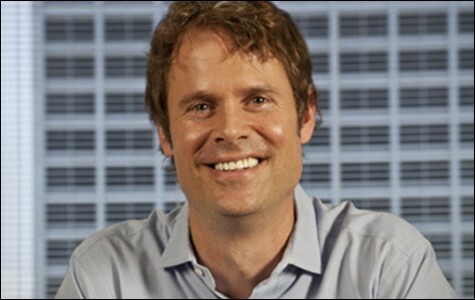 Pandora officials declined to comment for this story, but a representative sent a statement from Tim Westergren, founder and chief strategy officer, stating that the company plans to pursue reforms next year through the federal Copyright Royalty Board. "Pandora remains fully committed to benefiting and growing the entire music industry through a responsible/sustainable royalty structure and ensuring that artists can distribute their music and continue to be fairly compensated for their work and creativity," Westergren wrote. Pandora and IRFA's sponsors — Representatives Jason Chaffetz (R-Utah), Jared Polis (D-Colorado), Zoe Lofgren (D-California), and Senator Ron Wyden (D-Oregon) — have pointed out that Internet radio services pay five to six times higher royalty rates for digital performance rights than satellite and cable broadcasters. IRFA, they said, is aimed at supporting innovation, leveling the playing field, and ending discrimination against Internet radio by treating these companies in the same manner as satellite and cable. The Copyright Royalty Board sets performance royalty rates for satellite and cable radio based upon what it considers a "fair return" for the artists and labels and a "fair income" for the radio stations. Critics like musicFIRST, however, warn that lowering royalties in any capacity would directly hurt artists. "How many millions does [Westergren] have to earn before he stops trying to pick the pockets of professional musicians?" said Ray Hair, international president of the labor union American Federation of Musicians of the United States and Canada. "They did not need the royalty cut and we could not afford one. Webcasting and digital radio are expanding exponentially. ... They can't justify asking for a cut in royalty rights." Pandora, a public company that had 72.4 million users in November, last year boasted a total revenue of $427 million. It has, however, typically paid out more than half of its revenue toward performance royalties. According to a royalties chart Pandora shared with the Express, the company makes up 7 percent of all radio listening in the United States, compared to 9 percent by satellite and 84 percent by terrestrial radio. But, based on 2012 revenue, Pandora paid 55 cents per dollar of its revenue in performance royalties, compared to satellite, which paid only 7.5 cents per dollar. However, terrestrial radio did pay out roughly 4 cents per dollar of its revenue in composer royalties, according to Pandora's chart, versus about 5 cents per dollar of revenue to composers by both satellite radio and Pandora. Given that terrestrial radio makes up the majority of radio listening, AM/FM broadcasters still pay the bulk of composer royalties — the question is just proportionality. At a recent presentation in San Francisco to investors, Mike Herring, chief financial officer at Pandora, noted that out of total royalties paid globally by radio to performers, Pandora paid one out of every four dollars. "Why is Internet radio being burdened to this extent?" said Gregory Barnes, general counsel for the Digital Media Association, a national trade group that backed IRFA and will likely push for similar reforms next year. "Why are the rules of the road different for Internet radio in comparison to cable and satellite? The only explanation they've been able to offer is that we are the new kids on the block." With Pandora moving away from IRFA, some of the streaming service's most vocal opponents hope the company will unite with them around the issue of eliminating the AM/FM radio performance royalty exemption. For Pandora, it could mean a more level playing field, and for artists and labels, it could be a new source of royalty revenue. "All of these radio platforms — digital and terrestrial — should play by the same rules," said Colin Rushing, general counsel for SoundExchange, the nonprofit performance rights organization that collects and distributes digital performance royalties. "It's a question of fundamental fairness." Kalo said that the time is right to collaborate with Pandora. 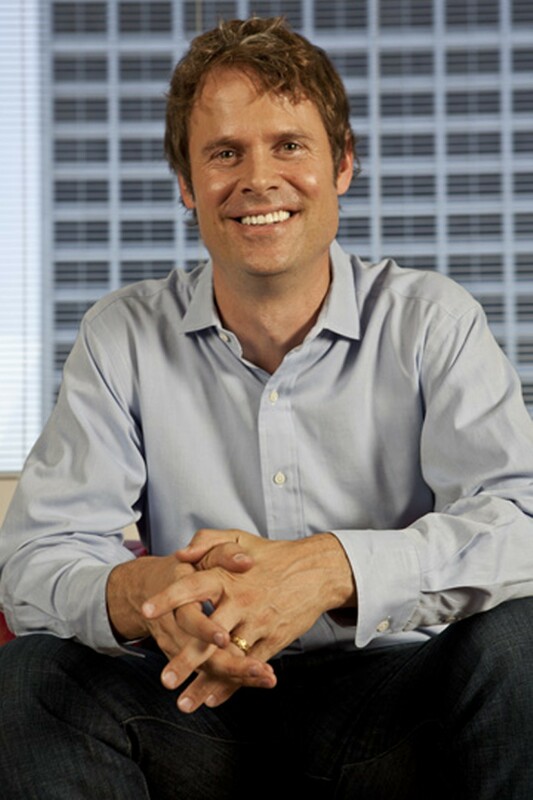 "Pandora has an opportunity to rebuild its brand as a pro-artist brand," he said. "We have always viewed Pandora as our partner. We want them to succeed. We just don't want them to succeed on the backs of music creators." Peter Menell, a law professor and co-director of the UC Berkeley Center for Law and Technology, noted that musicians have often been pushed aside in these debates. "Artists are an underrepresented part of the ecosystem," he said. "They are now starting to speak up." Pandora did not respond to the question of whether it will lobby for terrestrial radio to pay performance royalties. However, Pandora officials have continued to emphasize that their service provides value for artists beyond royalties. Herring, speaking at the recent San Francisco presentation, said, "I think it's underappreciated, the effect that Pandora can have in helping artists distribute their music and then making a living and driving revenue back to them, in part because it's lost in the noise of the overall royalty discussion." He cited Pandora Presents, the company's live concert series, and Pandora Premieres, the station that lets listeners preview upcoming releases. Whatever route Pandora takes, it's clear the fight is far from over. Despite Pandora's shift away from IRFA, lawmakers may still reintroduce some form of the bill or similar legislation in the future. A spokesperson for Chaffetz said that IRFA is not off the table and that the congressman may advocate for policies that better support online radio companies during the broader copyright reform debate that Congress is slated to take on next year. Skin City What's in a Facebook Like?